60% Cotton 40% model Material Body. Size 18 Year. 5 yrs 42-45 41-46 22 17 ¾ 21. 18-24 mos 31-33 27-30 19 ¾ 11 ¾ 19 ½. 3-6 mos 23-25 12-17 17 ¾ 8 17 ¼. Perfect for a gift. 5 S 5 yrs 42-45 41-46 22 17 ¾ 21. 4 yrs 39-42 35-41 21 ¼ 16 20 ½. 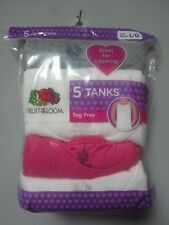 7 M 7 yrs 48-51 51-57 23 ¼ 21 ¼ 21 ½.
Jak & Peppar Girls Avery Crop Top Tank Tie Dye. 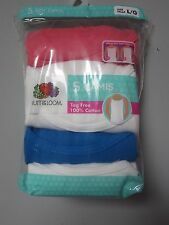 NWT GYMBOREE GIRLS GYMGO GREEN BLUE STRIPED FLORAL Activewear ATHLETIC Top L 10 12 Condition is New with tags. Shipped with USPS First Class Package. Signature navy pony embroidered above left front ruffle (photo 2). 100% cotton. Double ruffles. Four buttons in center neckline. Ralph Lauren. This Girl's Decorative Hairband. adds aClassic yetCute touch to your fashion style. Loc: 1073 MC7. Don't miss your opportunity on this item; if you decide to buy later it might be gone! There are "flutter" sleeves over the arm openings. Fabric: 50% cotton / 50% viscose. Sports Raglan Tee. • Height 62"-63". 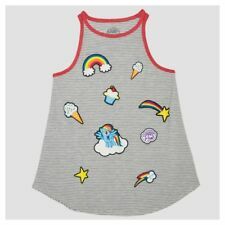 Crewcuts Kids Top, Size 10. 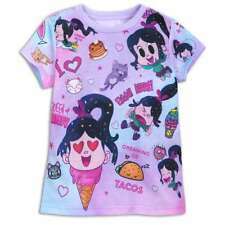 This cute shirt is a great option for your daughter. Fabric is 100% cotton.